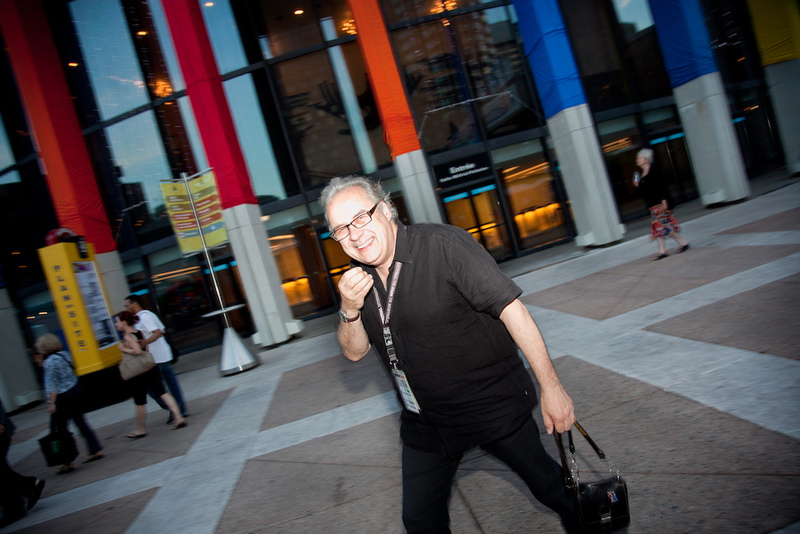 When André Ménard, co-founder and artistic director of the Festival International de jazz de Montréal, explains the breath and scale of the outdoor and indoor venue and range of musicians(over 3,000) and concert choices(over 650) during a 10-day run from June 28thto July 7th, 2018, you are excused if your senses are suddenly stunned. Speaking to Mr. Ménard recently about the festival, and as a life-long jazz listener and freelance writer, I shared my reaction to the size of the festival as “overwhelming.” And Mr. Ménard’s response was ,“you shall be!” This is by the way, a very positive version of the word – because what better pronouncement could there be than from an aficionado of jazz(life-long) and renown promoter of musical talent for the past 40 years, to announce the opening of the flood gates for his audience. To the betterment of our jazz-listening ears, Ménard has been regularly – year after year – travelling to over 300 artistic events to evaluate and recruit stellar musicianship for the Montreal Jazz Festival and 2018 will be no exception. 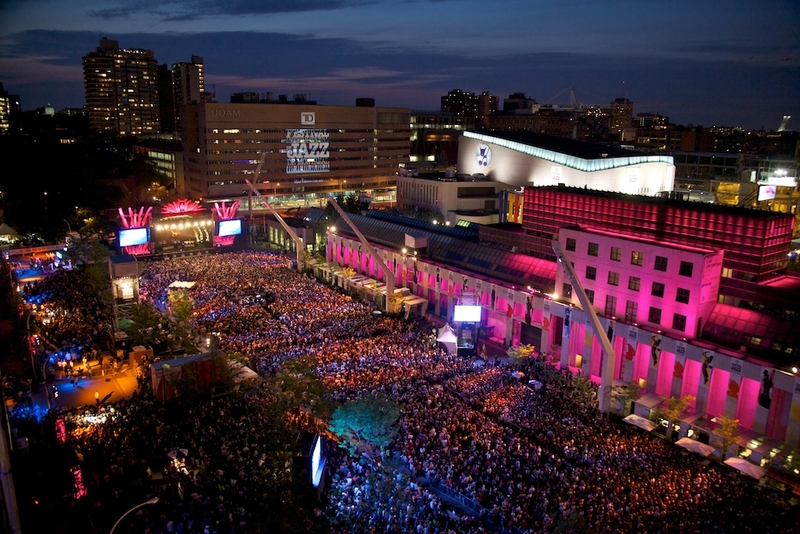 Since its founding in 1980, the summer festival has become a cherished event for jazz music fans from around the world. 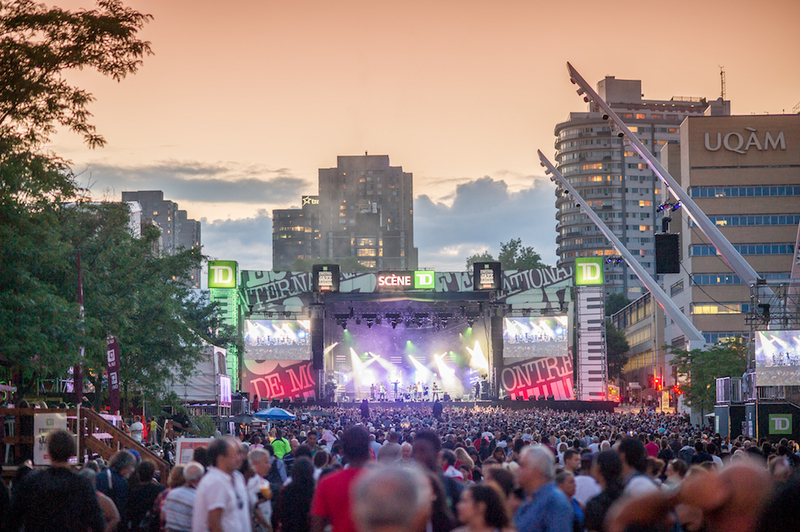 Lasting 10 days (June 28 – July 2nd ), the summer event is considered to be the largest and most heralded jazz event (by critics and musicians alike) on the world stage. 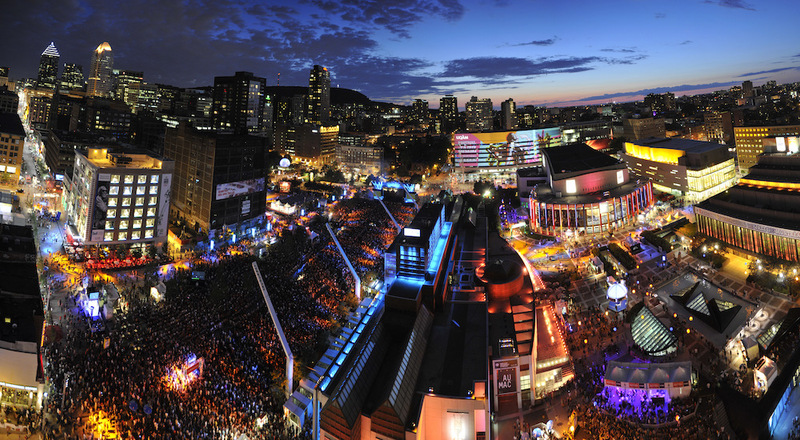 In 1982, Ménard brought the festival into Montreal’s downtown Latin quarter(in the heart of Quartier des spectacles), “where everything began to come together and gel.” As the festival took off around 1986, in popularity, multiple stages had to follow to supply the growth of the audience, to an enlargement of 12 concert halls and 8 outdoor stages as of today, and “all in the same neighborhood” as stated by Mr. Ménard – a remarkably inclusive achievement in itself. The festival’s line-up for jazz lovers is an explosion of varied artists new and old – blending a wide range of influences and allowing a broadening of tastes, and avoiding any narrowing of the wide band of musical choices. In a recent interview, Mr. Ménard spoke to me metaphorically about the inclusion of “sounds”, starting at the base of a tree, “the main trunk is jazz, but there is a spreading out to many branches, to leaves of many colors.” With the very first performance in the 1982 being Ray Charles, Ménard then booked Dexter Gordon, Miles Davis, Chick Corea and other “giants” of jazz, and later followed with a new generation of talent, the “young lions”, namely Wynton Marsalis, Branford Marsalis, Terence Blanchard, Roy Hargrove and Canadian-born Diana Krall. Krall had her “take-off” moment at the MJF in 1995, with a ten-night performance affair with international jazz listeners and jazz critics alike, helping to launch her career. Herbie Hancock, renown seminal jazz pianist, multi Grammy-award-winning artist, composer and international performer, who helped re-define the jazz rhythm section under the Miles Davis Quintet and has been a chameleon from jazz, R&B to electronic pop to hip-hop; accompanying Hancock will be singer/multi-genre bassist Thundercat, 2016 Grammy-winner for Best Rap/Sung Performance and featured on Kendrick Lamar’s critically acclaimed To Pimp a Butterfly(2015). Jessie Reyez, winner of Juno Award for Breakthrough Artist of the Year in March, the Toronto born singer is considered the “R&B revelation this year” Her debut EP, Kiddo,“detonated the musical landscape” with extraordinary and tormented vocals, as on singles “Figures”,“Hard to Love” and “Gatekeeper”. Pushing boundaries of jazz, band leader, composer and saxophonist Kamasi Washington has his debut at the festival, riding on a break-out multi-disc 2015 release The Epic, and a player’s list including Herbie Hancock, Wayne Shorter and contemporary stars Snoop Dogg, Kendrick Lamar and Thundercat. Renown innovator of style and stellar guitarist and composer, Ry Cooder performs his debut, whose creation of music is “at a crossroads of influences, nations and musical legacies” establishing his instrumental talent and rich mix of musical directions from the Cuban-based sound of acclaimed release Buena Vista Social Club(1997) and current release Prodigal Son(2018) to collaborations with Neil Young, Eric Clapton, the Rolling Stones, as well as such original soundtracks for films such as Paris, Texas. The return of a pioneer in the “free jazz” movement of the 1960’s, American jazz composer, pianist, organist and bandleader Carla Bley will conduct the Orchestre nationale de jazz de Montréal with special guest Steve Swallow, New York-based jazz bassist and composer, consistent Down Beat poll winner for best electric bassist(both Critics’ and Readers’), taught at Berklee College of Music and has toured extensively with Bley. Bley has to her record the influential jazz opera Escalator over the Hill, along with compositions performed by Gary Burton, Art Farmer and John Scofield. She is the recipient of “A Life for Jazz” award from the German Jazz Trophy, and received the NEA Jazz Masters Award in 2015. A definitive figure in post-bop jazz, she takes the reins of the ONJ for an evening that will include original orchestral works. Come tap into the energy and depth of this largest venue of jazz with a festival clock that runs day and night and outdoors(including many free performances) and indoors – a community spirit with all the flavors under the rainbow.